As always, come by boat, come by car, come as you are.This is the second year WOW is being sponsored by SIFAT. 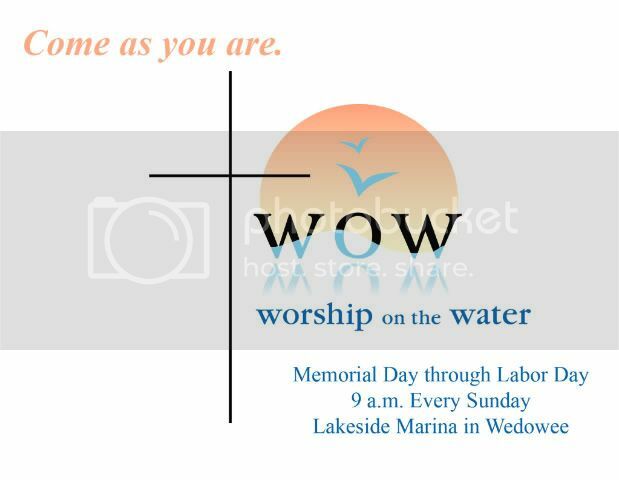 We’re excited about seeing each of youÂ at Lakeside Marina at 9 a.m.Â each Sunday beginning May 29. BelowÂ is a list of the speakers and musicians for this summer, or you can click here to download a flier.